The internet is changing our world and transforming our societies by driving economic growth and connecting individuals. Whilst the World Wide Web began in 1991, there are now billions of individuals using the internet on a daily basis. It is very simple to see and understand why the internet is changing the way we do business and create economic growth. It has also promoted fresh thinking and innovative ideas – allowing people to do business on the move. Whilst the role of the internet and the cyber community has become the centre of our world, it is also opening us up to an increasing number of threats. When the internet began to grow, online security was not considered. However, today, many companies focus predominantly on the online security of individuals and businesses due to the large amount of cyber criminals constantly on the prowl. If these threats were to continue with very little security, our whole livelihood could be affected due to the amount of dependence we put onto the internet. Due to the internet having very few rules and being extremely fluid, it is exceptionally difficult to monitor and control all threats. As a result of this, the SSL certificate has been introduced by companies such as Symantec. The SSL certificate focuses predominantly on the online security of a website. Online security is something we all must begin to think about in great detail as more and more individuals are becoming victims to cyber crimes. Websites which do not use HTTPS are destroying our security controls that you thought were protecting your data. This is just one reason why social media platforms such as Twitter and Facebook ensured that HTTPS versions of their sites were always available to their users. It is important to recognise that ‘sniffing attacks’ do not take your password in order to impersonate you. 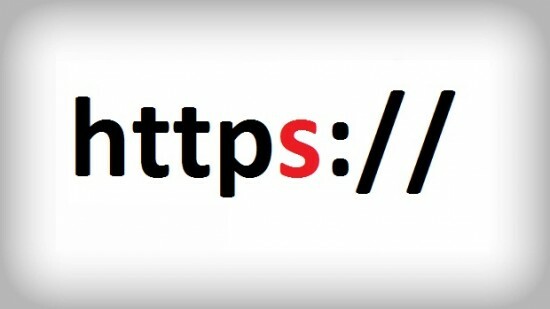 Websites that use HTTPS will always protect your password, whereas websites that just use HTTP will not. Protecting your passwords and emails are vital as the minute someone gets hold of both of these details they can find out banking information also. Beat the spies with the use of an SSL certificate.